We recognize the diversity of experiences, interests, expectations, needs, and career stages of academics. 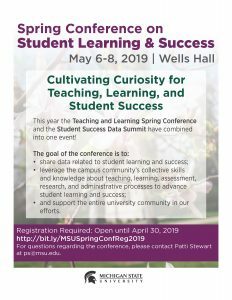 Our goal is to provide support for our academic colleagues who are striving to create meaningful and productive professional and personal lives in alignment with– and contributing toward– the missions of Michigan State University. The Academic Career Paths programming and resources address pertinent junctures in an academic’s career–from when they enter the university, work toward promotion milestones, and transition into late career or retirement activities. Ideas and resources related to mentoring, particularly for faculty and academic staff are located in this section. We hope it is valuable for individuals interested in mentoring and being mentored by academics at all levels and across all appointment types.